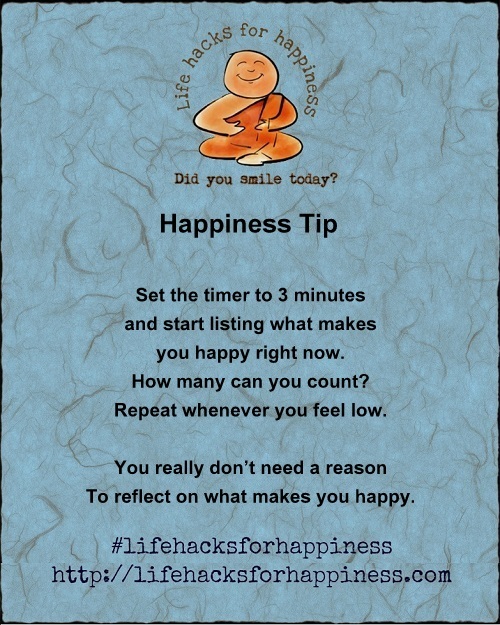 Set the timer to 3 minutes and start listing what makes you happy right now. How many can you count? Repeat whenever you feel low. Although, I’d think you really don’t need a reason to reflect on what makes you happy.